Neil Young News: Pearl Jam's "Lightning Bolt" Dedicated to Neil Young. 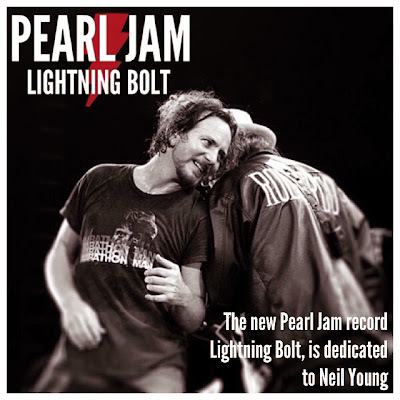 Pearl Jam's "Lightning Bolt" Dedicated to Neil Young. 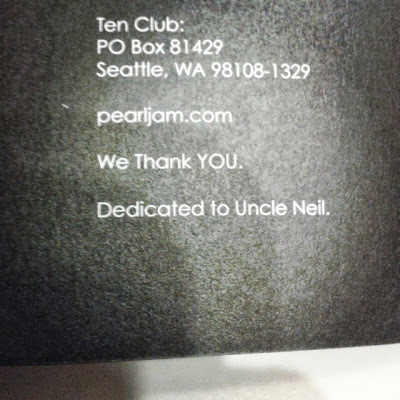 Per liner notes, the new Pearl Jam album "Lightning Bolt" is dedicated to Neil Young. The image above is from the CD booklet. The photo appears to be from when Pearl Jam was joined by Neil Young on 'Rockin' in the Free World" Encore Last Night in Toronto in 2011. The image above seems to be a fan generated meme. 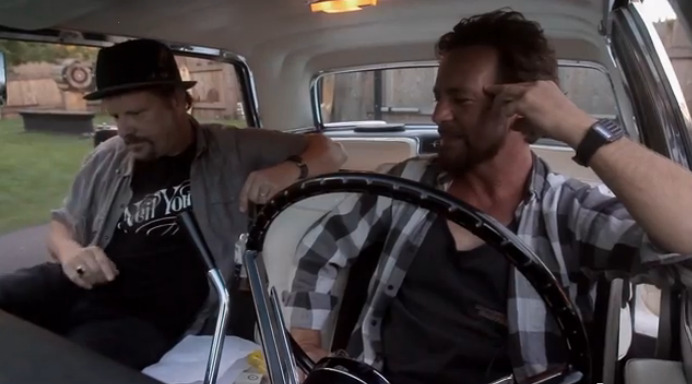 Also, in the short film by Danny Clinch for "Lightning Bolt", check out Eddie Vedder's passenger's (Danny Clinch) t-shirt at the end of the video. Also, see Pearl Jam on Neil Young's Muse - NPR. Just Letting you know that the image was not in the CD booklet down here in Australia, that I purchased yesterday. I am hoping it will be included in the vinyl album edition. a long friendship...sure Neil's an inspiration for them ! Thanks astrololee! Updated and corrected. So is the music an ode to Neil Young, too? I like Pearl Jam, but I'm not that big of a fan. Saw some recent live shows and I think they sound too slick nowadays. I don't recognise their rebellious character anymore. Ten, Mirrorball and Merkinball do the trick for me. I like Eddie solo on Into the Wild better actually. Would be nice if they would collaborate with Neil Young again some day.